Ever wonder if you’re the hero or the villain? Or just who exactly you are? Thanks to Tumblr, Google Images, and the Internet in general, now you can have a little better of an idea with the Myers-Briggs Type Indicator (MBTI). So what is the Myers-Briggs Type Indicator? The MBTI is a psychological questionnaire that helps categorize people into different personality types to help explain how people perceive the world. While you can’t put people into boxes, a personality usually fits quite nicely into one of the MBTI 16 types. 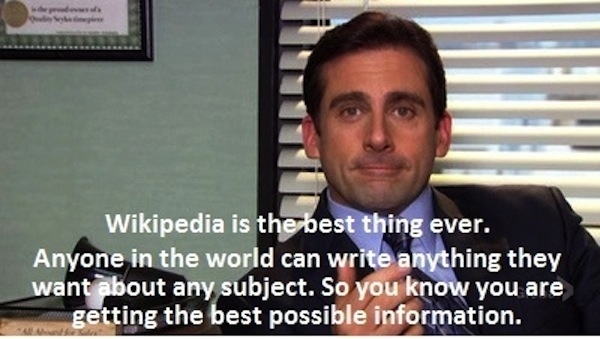 While there’s not too many things I would enjoy more than writing out a psychological essay, I’ll spare our left brained readers the pain and direct our curious right brained readers towards the MBTI wikipedia page for more details. Take the Myers-Briggs Type Indicator Test here! That was interesting, wasn’t it? How do you feel about the results? I myself was a little surprised by mine; I am apparently not as humble as I think myself, but that just means going forward I can address that right? Check to see which characters match your personality type from the charts below! In this case, we saved the obvious worst chart for last. We’re sorry. We’re so, so sorry. The good news is that the Myers-Briggs test hasn’t been proven to be 100% effective. Oftentimes, the results vary from weeks to years depending on when the test is taken. So if you’re a total Scrooge or Lannister now, it’s not too late to late to change your ways to become the amazing Jedi you always wished to be. Or something. For more cool MBTI charts, just Google “mbti chart tumblr” and check them out!